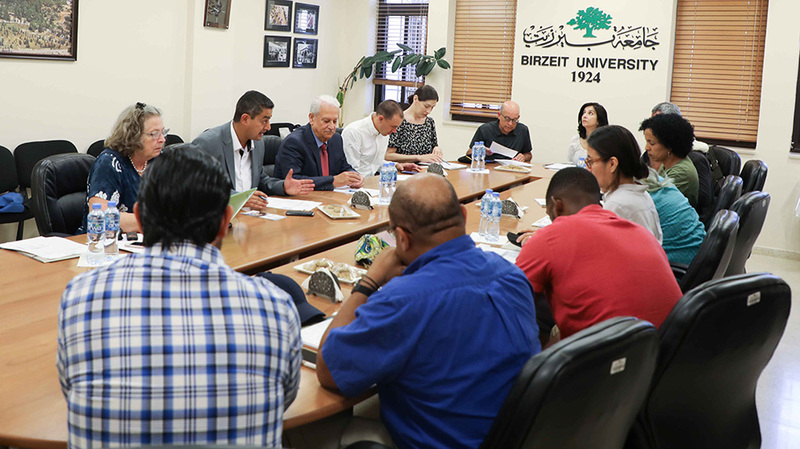 With the goal of boosting bilateral academic research and exchange opportunities, a group of scholars and academics from the Palestinian American Research Center (PARC) visited Birzeit University on June 27, 2018, and met with University President Abdullatif Abuhijleh, academics, and students, on June 27, 2018. The 13-member delegation included scholars specialized in the fields of history and anthropology, English and comparative African American Studies, environmental studies, sociology, indigenous studies, political studies, psychology, and sociology. 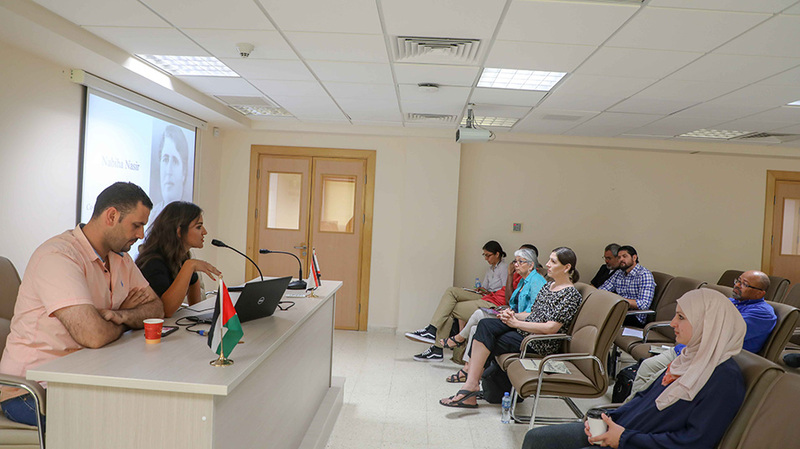 The members expressed special interest in bridging their fields of interest with the colonial context of Palestine. 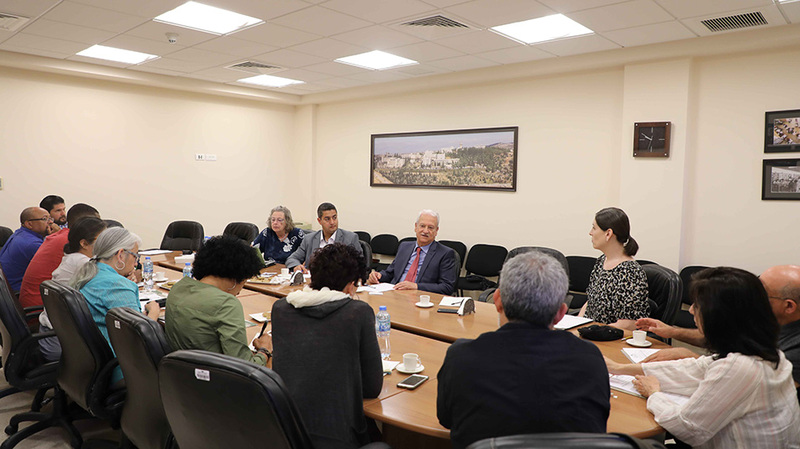 Abuhijleh and Director of the External Academic Relations Office Amir Khalil introduced the delegation to the university’s history, mission, and future prospects. Members of the Right to Education and the BDS campaigns pointed out systematic Israeli occupation violations against education, including the restriction of movement, the continuous arrest of students and academics, the lack of research resources and educational materials, the localization of knowledge, and the expansion of illegal settlements. The delegation exchanged ideas with a number of the university’s professors from the Institute of Women’s Studies, the Department of Philosophy and Cultural Studies, the Department of Social and Behavioral Science, the Ibrahim Abu Lughod Institute of International Studies, the Department of English Language and Literature, the Department of Philosophy and Cultural Studies, the Department of History and Archeology, the Department of Geography, the Department of Political Science, and the Muwatin Institute for Democracy and Human Rights. The delegation extended its support for Palestinians and discussed possible ways to defend students’ right to education, and to protect Palestinian culture and narrative.